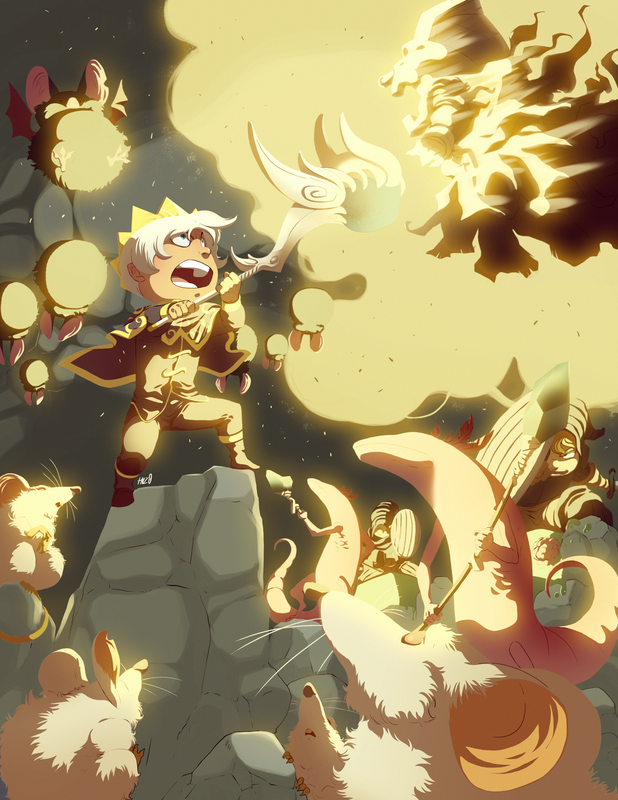 Hey all, check out this promotional action painting by artist Hanzo Steinbach for our game, Auro: The Golden Prince! Click here for a full size, uncompressed image. We want to thank Hanzo for his magnificent work on this! We feel that this picture really captures the spirit of playing Auro, in that he’s surrounded by a mob of many different kinds of monsters. Please check out Hanzo’s deviantART page at http://metalhanzo.deviantart.com/ for more of his brilliant work!